read books, get reviews posted, host giveaways, etc. because of their recommendation or the cover or title catches our interest. adds more books to my Wish List and To-Be-Read pile every week. pick up books at the library or buy them at a store. This is my third year hosting this challenge. Like last year is will again be held over at GoodReads where you can post and track your own progress. 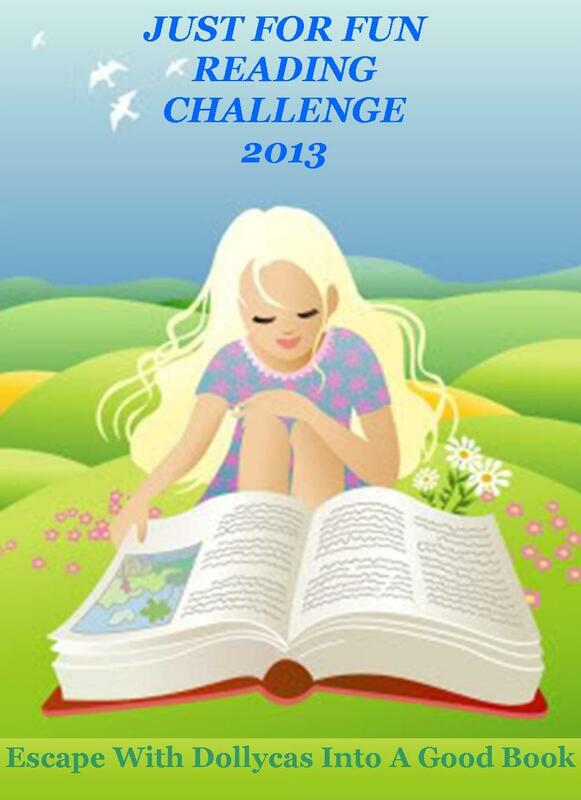 CLICK HERE to go to the Just For Fun Challenge page at GoodReads. Then just start a thread, WITH YOUR NAME AS THE TOPIC OF YOUR ORIGINAL POST. Select the proper folder using your first initial. All book formats are allowed, printed, audio, e-book. There is a 3 day grace period after each month to post your book for that month. This group will close to new members January 31, 2013 so you must sign up to participate before then. Each month you will edit your original post to add the book you read for that month. You Must Read One Book For Fun Each Month. You can only add one book to your list per month. There will also be make up months where you can go back and books to months you may have missed. These will be announced during the year. hope I help you clear at least 12 books from the rising stacks. Bloggers: Please grab the button and put it on your blog to show your participation and provide a link to http://www.goodreads.com/group/show/83915-just-for-fun-reading-challenge-2013 so others can join. I apologize for not having a button code for you to grab. For some reason I keep getting errors.